Please subscribe to our YouTube Channel to enjoy replays of our concerts! DAHA’s concert of February 28th drew a large gathering to hear composer Carl Bettendorf and the Momenta Quartet present a program of string quartets focusing on two great Czech modernists, Leoš Janáček and Alois Hába, plus a contemporary work by Bettendorf. The compositions were introduced and discussed by the musicians and composer. Both Czech composers were inspired by folk music of their native Moravian region and became influential figures in the musical avant-garde of the early to mid-20th century. While Janáček achieved international fame, Hába died in relative obscurity due to Communist suppression of his pioneering microtonal compositions. Bettendorf’s more recent work, also microtonal, connected with Janáček’s featured offering, String Quartet No. 2, “Intimate Letters,” in personally expressing love's heartaches. The audience enjoyed a new concert format in the historic ballroom of the Bohemian National Hall, with informal seating and the opportunity to bring their own beverages while they listened to the beautiful music, in a special collaboration with Groupmuse. This event is now available to watch on our YouTube Channel! On Sunday, January 27th, Aeolus Quartet performed Bohemian composer Heinrich Biber's Passacaglia, the last of his renowned 17th-century Rosary sonatas, a work which provided inspiration for the program’s enigmatic journey through joyful, sorrowful, and glorious musical expression. The theme was reflected in Osvaldo Golijov’s Tenebrae and Beethoven’s monumental Op. 131 as well as Alexandra Bryant's world premiere, Mysterium. The multi-award winning Aeolus, founded in 2008, is the quartet-in-residence at All Souls Church in New York City, performing at Bohemian National Hall as part of Musica Viva NY under the artistic direction of Alejandro Hernandez-Valdez. Praised by the Baltimore Sun for combining “smoothly meshed technique with a sense of spontaneity and discovery,” the Aeolus Quartet is committed to presenting time-seasoned masterworks and new cutting-edge works to diverse audiences with equal freshness, dedication, and fervor. On Wednesday, October 10th, DAHA hosted the exclusive American introduction of the memoirs of Czech-American opera star and film actress, Jarmila Novotná (1907-1994). William V. Madison, editor of the publication, spoke of the international triumphs of this multi-talented celebrity, who acted as a cultural ambassador for the Czechoslovak nation throughout her career - beginning in Prague with her opera debut as a lyric soprano at age 17 and including 16 years with New York's Metropolitan Opera. Her granddaughter, Tatiana Daubek, with Daubek’s ensemble House of Time (www.houseoftimemusic.org), paid tribute with a program featuring music of Mozart, Krommer, and Dvořák, and visitors viewed archival Novotná images in the Dvořák Room, courtesy of the George Daubek Collection. The book, Jarmila Novotná, My Life in Song (University Press of Kentucky, 2018), is available at major bookstores. You can enjoy a replay of this event on our YouTube Channel here! Presented with support from Bohemian Benevolent & Literary Association and Consulate General of the Czech Republic. The multi-year Dvořák: The Chamber Music Survey” brings Dvořák’s complete chamber music works to New York audiences at the historic Bohemian National Hall. See event program here! You can watch this event on our YouTube Channel here! On September 15th, the Dvořák American Heritage Association joined in celebrating the centennial of the founding of Czechoslovakia with a special simulcast of the Dvořák Prague International Music Festival 2018 and its gala performance of the rarely heard oratorio Saint Ludmila by ‪Antonín Dvořák, as it was broadcast live from Prague on Czech TV. Good news for those who were unable to attend: the performance may be viewed until March 15, 2019 here. Program notes by David Beveridge available here. The concert took place in the Dvořák Hall of the historic Rudolfinum, where the Czech Philharmonic and Prague Philharmonic Choir, under the direction of Jakub Hrůša, was joined by a stellar cast of Czech and Slovak singers, including soprano Kateřina Kněžíková. It was further amplified by a choir of 250 singers on an outdoor stage in the Jan Palach Plaza in front of the Rudolfinum. Dvořák's composition is based on the story of Saint Ludmila, the revered Bohemian saint; it was commissioned in 1885 for the Leeds Festival in England, and premiered there under Dvořák's direction in October 1886. The Dvoŕák Prague International Music Festival, established in 2008, is a preeminent annual music festival highlighting the works of world-famous Czech composer ‪Antonín Dvořák (1841-1904) and featuring leading international vocal, instrumental, and orchestral performances. This was the first US broadcast of a Dvořák Prague Festival event. For more information visit: www.dvorakovapraha.cz. Supported by Bohemian Benevolent & Literary Association. You can enjoy a replay of this event here on our YouTube Channel. Dvořák’s String Quintet in G Major, Opus 77, arranged for cello quintet performed by Laura Bossert, Rebecca Phillips, Emily Lane, Egor Antonenko and Joey Arcuri. Guitar selections of Brahms and Duke Ellington performed by Tali Roth, with the impromptu addition of Joey Arcuri on double bass. The “lento e molto cantabile” third movement of Dvořák's String Quartet No. 14 performed by students from The Juilliard School pre-college division. You can enjoy a replay of this event here on our YouTube Channel! The Aaron Copland School of Music Orchestra, under the batons of James John and Tong Chen, offered an all-Bernstein program to honor the 100th Anniversary of the composer's birth and in memory of Maestro Maurice Peress, distinguished conductor of the orchestra (1930-2017). On Sunday, March 18th, the many, deeply-moved listeners heard Bernstein’s Symphony No. 1, Jeremiah; the choral work Chichester Psalms (featuring the Queens College Choir and Nassau Community College Vocal Ensemble, James John and Ben Arendsen, directors); and "Make Our Garden Grow" from Candide. Maestro Peress, who planned this concert on what would have been his 88th birthday, began his career as assistant conductor under Bernstein at the New York Philharmonic. He drew a connection between Bernstein and Dvořák, pointing out that Bernstein's mentor Aaron Copland was a student of Rubin Goldmark, a member of Dvořák 's class of 1893 in New York City. You can enjoy a replay of this event on our here on our YouTube Channel! 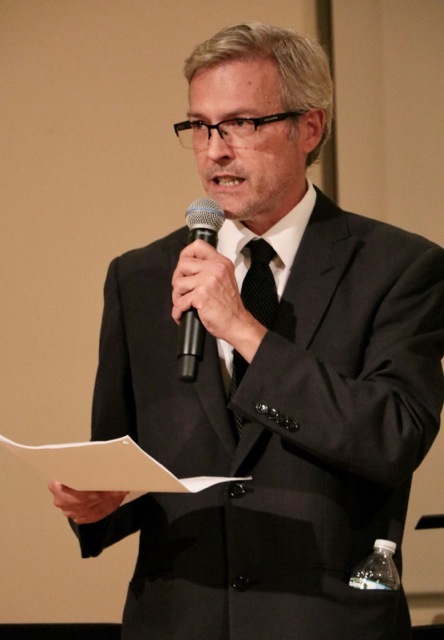 Casting new light on the US-based musical activities of Czech composer Bohuslav Martinů (1890-1959), musicologist Jon Meadow presented a lecture/recital exploring the composer's special relationship with the viola, historically a somewhat under-appreciated instrument. Violinist Laura Jean Goldberg and violist Danielle Farina played selections from Martinů's Three Madrigals for Violin and Viola, composed in New York City, and from the chamber music that inspired his work, Mozart's Duo in G for Violin and Viola. Enjoy a replay of this event on our YouTube Channel here! Jon Meadow is a Ph.D. candidate in historical musicology at New York University. His research is focused on Czechoslovak modernist theater music in the first half of the twentieth century. The title of his dissertation is "Humor, Chaos, and Copies in Bohuslav Martinů's The Plays of Mary." Meadow is on the board of the Dvorak American Heritage Association (DAHA), and he is currently an adjunct professor of Music History at Mannes Conservatory in New York City. He plays guitar, sings, and writes songs. Laura Jean Goldberg, violinist, and organizer of chamber music events at DAHA, earned the BM and MM degrees at The Juilliard School where she studied with Lewis Kaplan, Robert Mann, and Felix Galimir. She was a founding member of the Cassatt String Quartet which was a top prize winner at Fischoff, Coleman, and Banff Competitions, as well as the ensemble that premiered post-graduate ensemble residencies at Juilliard and Tanglewood. Formed at The Castleman Quartet Program, the quartet held teaching residencies at The Yale School of Music, at Caramoor, and traveled worldwide teaching and performing. The Cassatt was deeply involved with new music and worked with composers including Diamond, Dutillieux, Wagonner, Mamlock, and Wolf. Goldberg is a faculty member at The Juilliard School pre-college, Teachers College Columbia University, and Belvoir Terrace, a performing arts camp for girls where young women are empowered through the arts. She is the founder of ArtsAhimsa Music for Peace and is a board member of DAHA and ACMP, the Associated Chamber Music Players Network. Goldberg is the violinist of the Belvoir Trio with composer-pianist Moshe Knoll and cellist Lori Singer. Violist Danielle Farina was born in Woodbury, N.J., and is a soloist, chamber musician, orchestral musician, teacher, and recording artist. She recently recorded Jon Bauman's Viola Concerto with the Moravian Philharmonic, Andy Teirstein's Viola Concerto with the Kiev Philharmonic, and premiered Peter Schickele's Viola Concerto with the Pasadena Symphony. She was formerly a member of the Lark Quartet, touring extensively in North America, Europe, and Scandinavia. Her recordings with the quintet include Aaron Kernis's string quartets, music of Amy Beach, and music of Giovanni Sollima. Currently a member of the Elements Quartet, she also performs with a number of New York City area ensembles, including the Orpheus Chamber Orchestra, Orchestra of St. Luke's, Concertante, and Music From Copland House, with whom she recorded music of John Musto. Farina served as principal violist of the Brooklyn Philharmonic and is currently a member of the American Ballet Theater Orchestra and the Mostly Mozart Festival Orchestra. She holds a BM from the Curtis Institute of Music and studied with Karen Tuttle. She has been on the faculty at Juilliard's Pre-College since 2005. Michael Beckerman, Photo credit: Moshe Knoll. Noted musicologist Michael Beckerman looked closely at Leonard Bernstein's views of Antonín Dvořák’s “New World” Symphony in a lecture on Sunday, October 29th, presented by the Dvořák American Heritage Association in celebration of the New York Philharmonic's "New World Initiative" (2016-17) and the centenary of Leonard Bernstein’s birth. Michael Beckerman is Carroll and Milton Petrie Professor of Music at New York University and Leonard Bernstein Scholar-in-Residence at the New York Philharmonic for the 2017-18 season, his second year in the position. Bernstein was both a great champion of the "New World" Symphony, and in some ways, one of its harshest critics. In a series of performances, lectures and both musical and speech recordings over the years he advanced the notion that the symphony was not really "American" in any way. Further, echoing Brahms, he stated that despite the composer's use of beautiful melodies, the work does not have the requisite development of themes representative of the greatest symphonies. 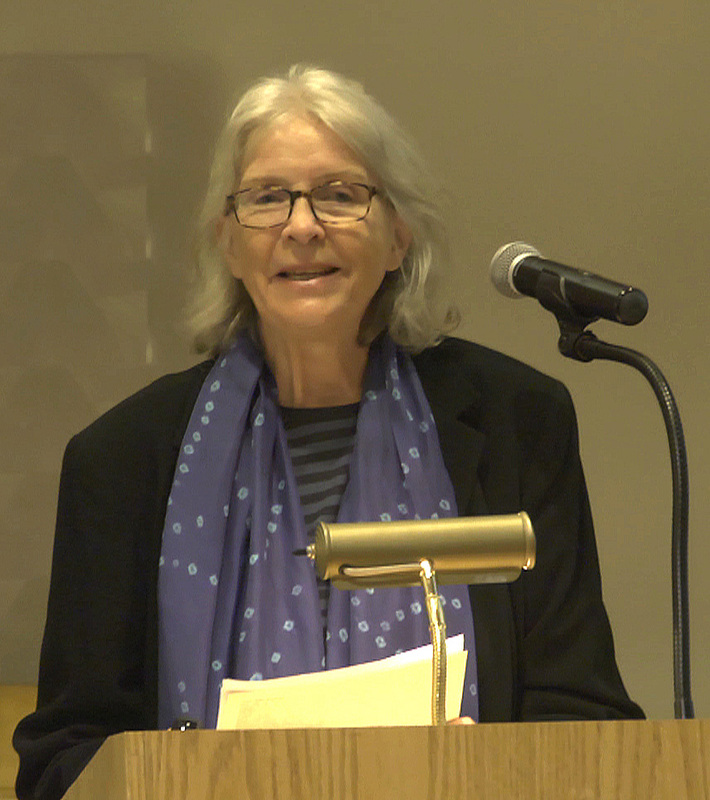 Beckerman explored the arguments and their context, taking them on their own terms, and tested their main premises in an illuminating lecture tracing not only Bernstein’s views, but the varying attitudes toward the “New World” symphony over time. DAHA’s concert of Sunday, September 24th ended with a standing ovation for the superb New York Philharmonic musicians and friends. It was the second annual concert in DAHA’s multi-year survey of Dvořák’s complete chamber works. The unprecedented marathon presents the composer’s chamber music masterpieces as well his lesser known gems. This year’s concert paired Dvořák’s Piano Quintet in A, Opus 81 with his Second String Quartet of 1862. The rarely heard early work illustrated the mindset of the young composer, the starting point from which Dvořák developed his distinctive and well-known compositional style. In the universally cherished Piano Quintet of 1887, the audience enjoyed the soulful melodies and lively Slavonic dance rhythms that have made Dvořák world famous. The event, organized by violinist Laura Jean Goldberg of DAHA, was followed by a reception to meet the musicians and Dvořák Room viewing. On the eve of Antonín Dvořák’s birthday, DAHA celebrated the 125th Anniversary of the great composer's arrival in America with a large and enthusiastic audience. The festive music offerings included: Dvořák’s Sonatina for Violin and Piano, Opus 100, written in New York and premiered by the composer’s children, plus selected Humoresques for piano combined with readings from Josef Kovařík’s Three Years with the Maestro: An American Remembers Antonín Dvořák. Exploring Dvořák’s Bohemian world, DAHA presented "A Visit with Antonín Dvořák III at Vysoká,” an illustrated talk by curator Majda Kallab Whitaker, and concluded the program with rousing Slavonic Dances for piano four-hands. Featured musicians included violinist Laura Jean Goldberg; pianists Anna Royzman, Ruobing Zhang, and David Oei; and young composer Michael Pineda, who performed his prize-winning piano work "Discovering a New World," from the New York Philharmonic New World Initiative Composition Competition. Special guest soloist saxophonist/composer James Brandon Lewis offered his jazz variations on Dvořák's Humoresque No. 7 and actor Vit Hořejš appeared in the role of Kovařik. A birthday reception and Dvořák Room viewing followed. Presented by the Dvořák American Heritage Association in collaboration with the New York Philharmonic New World Initiative, Czech Center New York, and the Consulate General of the Czech Republic. Concert organized by Laura Jean Goldberg of DAHA. Presented by the Dvořák American Heritage Association in collaboration with the New York Philharmonic “New World Initiative,” Czech Center New York, and the Consulate General of the Czech Republic. Organized by DAHA Board Member, violinist Laura Jean Goldberg. Supported by the Bohemian Benevolent & Literary Association. Enjoy a replay of this concert on DAHA's YouTube Channel! The tradition of Sunday afternoon musicales in the late 19th century continued on May 7th as the spirited ArtsAhimsa ensemble with violinist Laura Jean Goldberg returned for its seventh season with chamber works and song from the repertoire of Antonín Dvořák, his contemporaries, and students. This year’s program included Dvořák’s String Sextet led by violinist Laura Bossert, a guitar transcription of Brahms’ Intermezzo Opus 117 with guitarist Tali Roth, composer Eric Ewazen’s Flute Sonata arranged for violin and piano, featuring Laura Goldberg, plus a Dvořák gem played by a young trio from The Juilliard School. 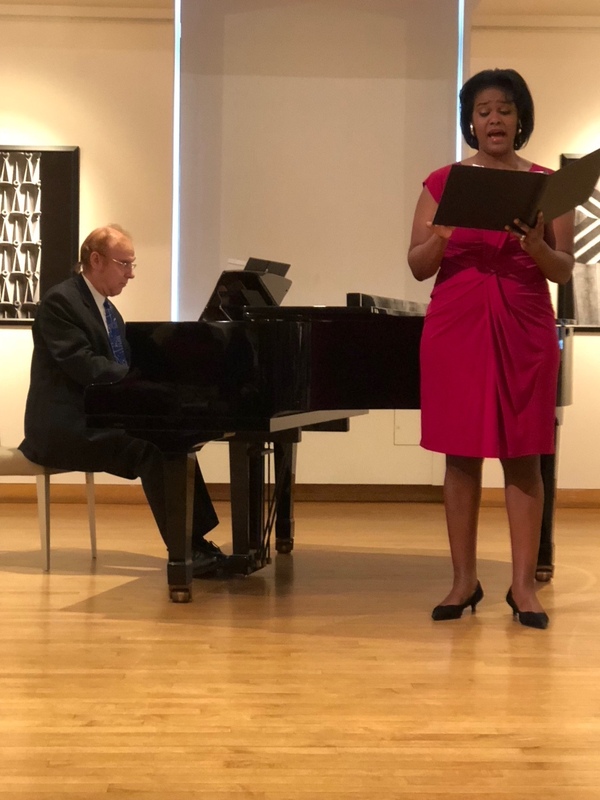 Soprano soloist Dr. Marti Newland performed art songs and a concert spiritual by composer and baritone Harry T. Burleigh, who as a student at the National Conservatory of Music of America in the 1890s, assisted and influenced Dvořák during his American residency. A replay of this event is now playing on our YouTube channel! 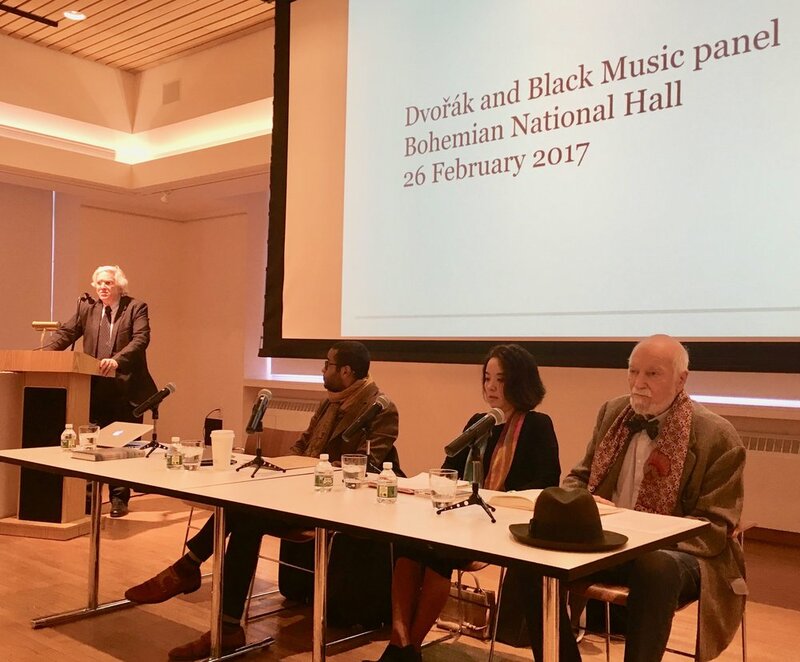 On Sunday, February 26th, DAHA presented a panel discussion for Black History Month in which distinguished scholars and musicians explored the social and aesthetic history and outcomes of Dvořák’s significant connections with the late 19th century African-American community as he composed the “New World” Symphony. Organized by Professor Michael Beckerman of NYU, the New York Philharmonic 2016-17 Leonard Bernstein Scholar-in-Residence, the illuminating and lively discussion featured Conductor Maurice Peress, Professor at the Aaron Copland School of Music, Professor Ellie Hisama of Columbia University, and Marcus Pyle, a PhD student at New York University. Presented as part of the New York Philharmonic’s “New World Initiative” in honor of their 175th year. Enjoy a replay of this event on our YouTube Channel. Harry T. Burleigh, African-American composer, arranger, and professional singer. Photo Courtesy of Jean E. Snyder. Michael Beckerman at podium; seated left to right, Marcus Pyle, Ellie Hisama, Maurice Peress. The 2016-2017 Concert Season marks the 175th anniversaries of Antonín Dvořák (born September 8, 1841) and the New York Philharmonic (founded April 2, 1842; first performance, December 7, 1842). Ellie Hisama is Professor of Music at Columbia University where she teaches courses on twentieth-century music, American music, and popular music. She has recently published articles on the composers Julius Eastman and Ruth Crawford and on freestyle in hip-hop. She has served as Editor of three peer-reviewed journals: Women and Music: A Journal of Gender and Culture; Journal of the Society for American Music; and American Music. Her current work is on Crawford's Chants for Women's Chorus, Isaac Julien's film installations, and the Bay Area collective Asian Improv aRts. She was the 2016 speaker in residence in the Judy Tsou ’75 Music Scholars Series at Skidmore College. Marcus R. Pyle is currently a PhD student and MacCracken Fellow in Historical Musicology at New York University. His research centers on issues of fin-de-siècle opera, depictions of femmes fatales, intersections of gender, sexuality, French critical theory (Derrida, Deleuze, and Lacan), and African-American lives and music. Pyle studied Viola Performance at the Juilliard School (M.A.) and at the Royal Academy of Music in London (B.A. ), and Music Psychology at Columbia University. Current research areas and papers: Ontology and Embodiment, European Modernism, “Beyond the Notes: An Occult Subtext in Schönberg’s ‘Nacht’ from Pierrot Lunaire,” “Butch Fatale: Becoming-Lesbian in Richard Strauss’s Salome.” Pyle is also Founder and CEO of ChamberWorks (est. 2010), a summer music institute for beginning to intermediate string players in Dallas. Michael Beckerman is Carroll and Milton Petrie Chair and Collegiate Professor of Music at New York University and The Leonard Bernstein Scholar-in-Residence at the New York Philharmonic for the 2016-17 season. He is author of New Worlds of Dvořák (W.W. Norton, 2003), Dvořák and His World (Princeton University Press, 1993), Janáček and His World (Princeton, 2004), Janáček as Theorist(Pendragon Press, 1994), and Martinů’s Mysterious Accident He is a recipient of Dvořák and Janáček Medals from the Czech Ministry of Culture, and is also a Laureate of the Czech Music Council; he has twice received the Deems Taylor Award. He received an honorary doctorate from Palacký University in the Czech Republic in 2015. Maurice Peress is Professor of Music and Director of the College Orchestra at the Aaron Copland School of Music. He was assistant conductor with the New York Philharmonic l961 under Leonard Bernstein who later chose him to conduct the world premiere of hisMass for the opening of the Kennedy Center. Peress was Music Director of three American orchestras; Corpus Christi (1962-74), Austin (1970-72) and the Kansas City Philharmonic (1974-80). He worked personally with Duke Ellington (1969-74) on a symphonic orchestration of a Suite from Black Brown and Beige––premiered under his baton by the Chicago Symphony––and Queenie Pie a musical opera-comique (Philadelphia Music Theater and the Kennedy Center. 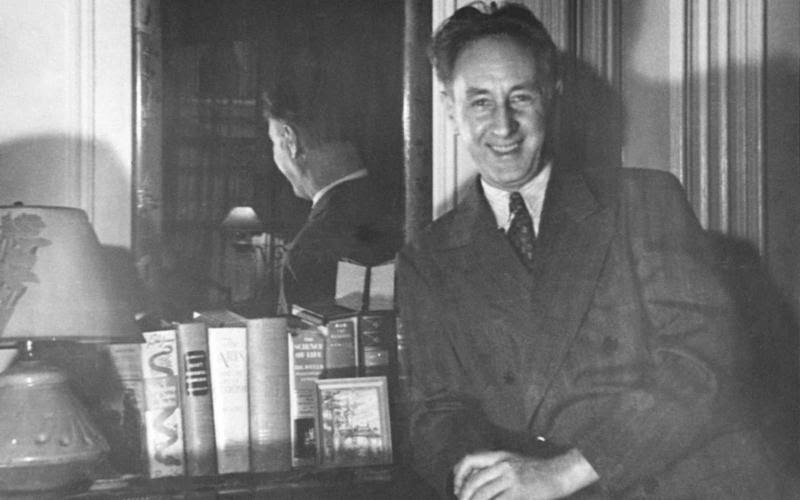 Maestro Peress reconstructed and conducted a series of historic concerts for Carnegie Hall including James Reese Europe's 1912 Clef Club concert, Antheil's Ballet Mecanique concert of 1927 and Ellington's Carnegie Hall debut Concert of 1943; at which Black Brown and Beige was introduced. His book Dvorak to Duke Ellington, published by Oxford University Press in 2004 is now in paperback and has been translated into Mandarin 2008Among his many recordings for Music Masters are; “Antheil's Ballet Mecanique concert of 1927,” "The Birth of the Rhapsody in Blue." a complete reconstruction of Paul Whitemans's 1924 Aeolian Hall Concert; "Symphonic Ellington," with the American Composers Orchestra:Harlem, the Black Brown and Beige Suite, the Piano Concerto: New World A'Comin and Three Kings (all also edited by Peress for G. Schirmer), and Ellington's original Jazz band Black Brown and Beige with the Louis Bellson Orchestra, Clark Terry and Joe Williams. As part of the Rusalka Celebration in the Bohemian National Hall, this special Dvořák Room presentation explored Antonín Dvořák’s beloved country house at Vysoká and its scenic surroundings in recent photographs by noted Czech photographer Eva Heyd. Finding inspiration in nature, Dvořák composed the opera Rusalka (The Water Nymph) over a period of seven months in 1900, largely in this idyllic setting. When away, he constantly longed for Vysoká, only in the atmosphere of the woods and lakes of mythic Bohemia, nourished by Czech fairy tales and the libretto of poet Jaroslav Kvapil, could Dvořák have created his universally treasured water nymph Rusalka. Photo : Eva Heyd by Thomas Krakora. Curated by Majda Kallab Whitaker, Dvořák American Heritage Association. Photography by Eva Heyd. With special thanks to Antonín Dvořák III and the Czech Museum of Music, Antonín Dvořák Museum, Prague. Born in Prague, Eva Heyd began her career as a professional photographer and journalist in what was then Czechoslovakia. In 1985 she emigrated to the United States, where she lived for twenty years, working as a photographer for prestigious museums and galleries in New York. Currently active as a journalist, photographer, and writer, she also teaches, curates art shows, and acts as a coordinator of the Czech National Trust. In her own artwork, she concentrates on art projects experimenting with the use of photographic images. She has exhibited in leading galleries in New York as well as other parts of the United States and Europe. Majda Kallab Whitaker is an independent scholar and curatorial consultant specializing in subjects related to late nineteenth and early twentieth century cultural and design history. She has acted as advisor for the Dvořák Room project since 2006, and serves on the Board of Directors of the Dvořák American Heritage Association and its parent organization, the Bohemian Benevolent & Literary Association. Mythic Bohemia, photos by Eva Heyd for DAHA. 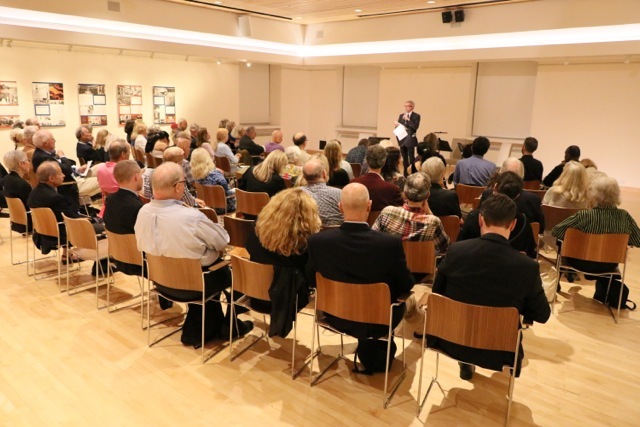 Many Dvořák admirers joined DAHA and Czech Center New York on Wednesday, February 15th for a lecture by musicologist Michael Beckerman exploring Rusalka’s deeper meanings, presented as part of the month-long celebration of Antonín Dvořák's opera Rusalka in New York. Read more about this month long festival here. Characterized as a "fairy-tale" opera, Dvořák’s Rusalka is indeed at least in part based on the "Little Mermaid" story. But the opera, both in its use of recurring motives and in its psychological depth aspires to the dramatic power of Wagner's Tristan rather than the picturesque and contained world of Hans Christian Andersen. Using piano, music clips, and score images, Professor Beckerman discussed the themes of longing, wish for death, and search for a kind of ultimate love that pervade the opera and the final scene, which rises to the highest level of tragedy. You can enjoy a replay of this lecture on YouTube. Guests tour the "Mythic Bohemia" exhibit in the Dvořák Room with Majda Kallab Whitaker. On Sunday, October 23rd, Antonín Dvořák’s 175th Anniversary festivities continued with an all-Czech lecture-performance of works by Smetana, Dvořák, Janáček ,and Suk featuring the violin-piano ensemble G-sharp Duo, with Emilie-Anne Gendron on Violin and Yelena Grinberg on piano. Dr. Grinberg and Ms. Gendron discussed each musical piece and the composers, providing an overview of Czech music at the turn of the 20th century. The vibrantly performed program included Smetana’s “From the Homeland,” Two Duets for Violin and Piano (1880); Dvořák’s Sonata in F Major, Opus 57 (1880); Suk’s Four Pieces for Violin and Piano, Opus 17 (1900); and Janáček’s Sonata for Violin and Piano (1914-15, rev. 1916-22). Click here to enjoy a replay of this event on our YouTube Channel! The G-Sharp Duo: Emilie-Anne Gendron, Violin Yelena Grinberg, piano. DAHA President Susan Lucak, The G-Sharp Duo: Emilie-Anne Gendron and Yelena Grinberg, Laura Jean Goldberg. Founded in 2003, the G-Sharp Duo is a dynamic ensemble established by violinist Emilie-Anne Gendron and pianist Yelena Grinberg when both were students in the Barnard-Columbia-Juilliard (BCJ) dual degree program. Over the past thirteen years of close collaboration, they have garnered enthusiastic praise from New York’s classical music scene for their highly expressive and insightful performances. Infusing their interpretations with a keen musical intellect and poetic imagination, Ms. Gendron and Ms. Grinberg are committed to showcasing not only the hallmarks of the violin-piano literature, but also some lesser known compositions as well as important contemporary works. Notably, they gave the world premiere of Hiroya Miura's "Moon Petals" (2005), a composition dedicated to the G-Sharp Duo, which was first performed at Miller Theatre and broadcast over New York Public Radio's arts program Ear to Ear, hosted by David Garland. In Spring 2009, the Duo presented the US premiere of Philip Lasser’s “Chaconne Variations” (2007), and in Fall 2010, they gave an unofficial premiere of Michael Harrison’s “Raga Prelude” at Faust Harrison Pianos. Prizing dual commitment to intellectual and musical exchange, Ms. Gendron and Ms. Grinberg give frequent lecture-recitals, exploring in depth various musical and aesthetic aspects of the sonata-duo repertoire at venues, such as The Juilliard School, Columbia University, and New York University. The G-Sharp Duo won First Prize in the duo category of the 2006 International Chamber Music Ensemble Competition, sponsored by the Chamber Music Foundation of New England. In Summer 2008, they were awarded residency at the renowned Banff Centre in Canada, where they worked closely with such artists as Philip Setzer, Mark Steinberg, Barry Shiffman, and Denis Brott. Since their New York debut recital at Merkin Hall in Spring 2008, the G-Sharp Duo has given numerous performances at venues such as Miller Theatre, Bargemusic, Steinway Hall, Weill Recital Hall, the Bates College Concert Series, the Harvard Club of New York, the chamber music series at St. Paul Church in Brookline, Massachusetts, Tenri Cultural Institute of New York, Nicholas Roerich Museum in New York, and the Grinberg Classical Salon Series. Marking the 175th Anniversaries of both Antonín Dvořák and the New York Philharmonic, DAHA launched a multi-year concert series presenting all of Dvořák’s chamber works on Sunday, September 18th. Featuring NY Philharmonic musicians and friends, the first concert included a Dvořák masterpiece: Quintet in E flat Op. 97, the “American,” as well as two rarely heard works: the Four Romantic Pieces for Violin and Piano Op. 75 (Violin and Harp transcription premiere) and its original version, the Trio in Four Movements for Two Violins and Viola Op. 75a B 149. The Chamber Music Survey is organized by violinist Laura Jean Goldberg. 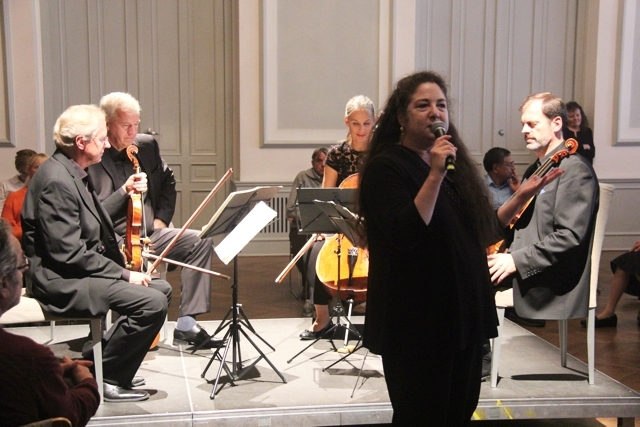 The concert was followed by a reception and viewing of the Dvořák Room exhibit “Superstars Together: Dvořák and the New York Philharmonic at 175,” curated by Majda Kallab Whitaker. This event is now streaming on our YouTube Channel! Top Left: "American" Quintet musicians (left to right): Yulia Ziskel, violin; Laura Jean Goldberg, violin; Dmitri Kouzov, cello; Ah Ling, viola; and Rebecca Young, viola. 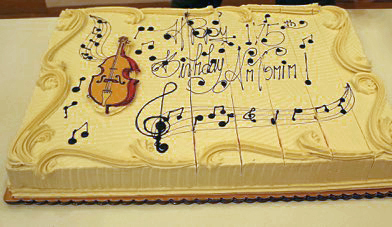 Celebrating Antonín Dvořák's 175th Birthday with a special cake. Dvořák and friends (left to right): Yulia Ziskel, Rebecca Young, and Dmitri Kouzo. Taking their bows: violinist Yulia Ziskel and harpist June Han. Photo Credit: Nancy Wight. Violinist and Concert Organizer Laura Jean Goldberg (right), DAHA President Susan Lucak (center) & Majda Kallab Whitaker, Exhibit Organizer (left) at the Dvořák House mantelpiece in the Dvořák room. Photo Credit: Judith Prowda. The Dvořák Room at the Bohemian National Hall was one of venues visited by the National Youth Orchestra of the United States of America (NYO-USA), for an introduction to Dvořák’s life in America by DAHA Board Member Majda Kallab Whitaker. Each summer, Carnegie Hall’s Weill Music Institute brings together some of the finest young musicians from across the country (ages 16–19) to form the NYO-USA. These remarkable teenagers then embark on a tour to some of the great music capitals of the world, serving as dynamic American music ambassadors. This year they performed Mozart and Bruckner works at Carnegie Hall on July 14th under the baton of Christoph Eschenbach with featured pianist Emanuel Ax; Valery Gergiev led the European tour of Amsterdam, Copenhagen, Montpelier, and Prague with pianist Denis Matsuev in a program dedicated to music by Debussy, Rachmaninoff, and Prokofiev. Photos courtesy of the Consulate General of the Czech Republic in New York. The tradition of Sunday afternoon musicales in the late nineteenth century continued as the spirited ArtsAhimsa ensemble returned on May 1, 2016 for its sixth season with chamber works from the repertoire of Antonín Dvořák and related musical sources. This year’s Spring Musicale featured outstanding seasoned musicians in performances of Dvořák’s celebrated Quintet for Piano and Strings, Opus 81 in A major, Dvořák’s Sonatine for Violin and Piano, Opus 100, and the rarely heard Trio in D minor by Czech composer Bohuslav Martinu. See this event on DAHA's YouTube Channel! On the evening of Saturday, March 19, 2016, the Aaron Copland School of Music Orchestra under the direction of Maurice Peress presented a rousing concert “recreating” the Czech Day program of August 12, 1893 at the World’s Columbian Exposition in Chicago. Audience members could well imagine the fairgoers’ excitement they heard Dvořák’s popular Slavonic Dances and My Home Overture as well as his Symphony No. 6 in D major. Maestro Peress, who recently celebrated his 85th birthday, was greeted with an orchestral Happy Birthday and received an honorary award from the Dvořák American Heritage Association at the close of the performance. The Aaron Copland School of Music orchestra under the baton of Maestro Peress, in the historic ballroom of the Bohemian National Hall. On January 30th and 31st, performances of the Czechoslovak-American Marionette Theatre in the historic ballroom of the Bohemian National Hall explored the influence of African American and Native American music upon the work of famed Czech composer Antonín Dvořák during his American sojourn of 1892-1895, telling the story with classical and jazz music accompaniment, live actors, and marionettes under the direction of Vit Hořejš. Music by composer/saxophonist James Brandon Lewis and Antonín Dvořák. Click here to view more photos from the event! On Sunday, December 13, 2015 guests joined in a festive celebration of the season at the Bohemian National Hall with an exciting variety of holiday presentations and gift market sponsored by the Bohemian Benevolent & Literary Association; Consulate General of the Czech Republic; Czech Center New York; and Dvořák American Heritage Association. DAHA’s Holiday Concert: From Czech Baroque Pastorale to Modern Improvisation featured musicians from New York University in familiar miniatures and rare novelties for piano, guitar, and voice, tracing the Czech pastorale tradition from the Baroque through the Romantic period, and ending in the mid-20th century. The event was curated by Jack Meadow and Michael Beckerman, who performed along with tenor Christopher Patton Nickell. Another highlight was the Czech Christmas Festival in the historic Ballroom of the Bohemian National Hall, featuring mezzo-soprano Pavlina Horáková and the Children’s Choir of the Czech and Slovak Community Center in Astoria. Christmas carol favorites and family-friendly interactive presentations illuminated Czech holiday traditions. The unusually balmy weather allowed the Christmas market, with traditional Czech glass ornaments, foods, and decorations, to take place on the rooftop terrace. A raffle of Dvořák String Quartet CDs also took place courtesy of Manhattan Quartet and DAHA. 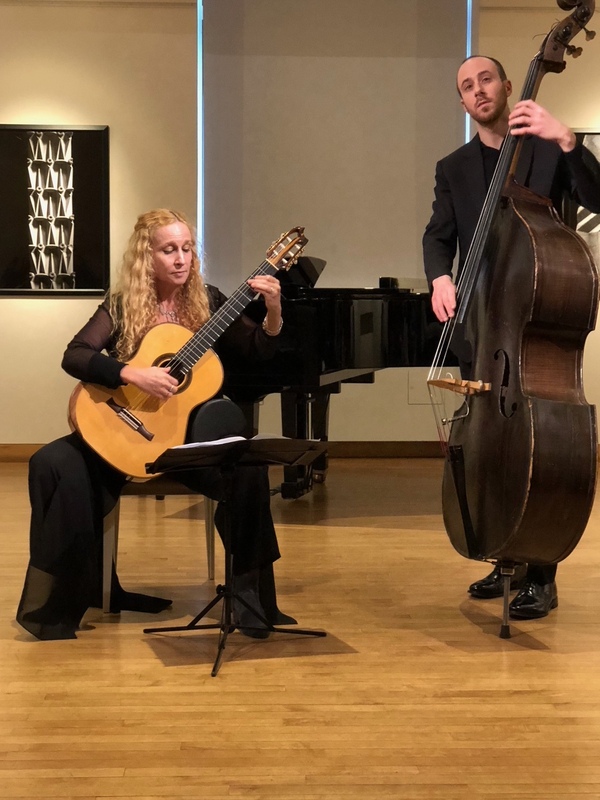 On October 18th, the Dvořák American Heritage Society presented its inaugural DAHA Annual Lecture/Recital Program featuring Dvořák scholar David Beveridge and a vocal music performance by mezzo-soprano Mirjam Frank. Dr. Beveridge chose as his topic one of his most striking discoveries during decades of research in all aspects of Dvořák's life and work, namely the amazing quantity and stunning beauty of the Czech composer’s vocal music--operas, choral works, duets, and songs--and the peculiar circumstances that have caused music historians to underrate most of this music and performers to neglect it. During his talk Dr. Beveridge played short recorded examples from several of Dvořák's splendid vocal works that many in the audience had probably never heard before, and focused more closely on his skillful setting of words in two works associated with New York--The American Flag, a cantata to an English text composed for and premiered in New York, and the Biblical Songs, composed in 1894, during his tenure as director of New York's National Conservatory. The Biblical Songs were performed live in their entirety by mezzo-soprano Mirjam Frank, with Dr. Beveridge's own translation (in its 'premiere') of the sung text attempting to capture in English the perfect union of word and music Dvořák achieved in Czech. Ms. Frank also sang a recitative and aria from the oratorio Saint Ludmila (1885-86). Enjoy a replay of the event on our YouTube Channel! Founding DAHA member Jack Taylor was honored and guests previewed DAHA’s Anniversary Exhibition presenting highlights from the archive of Mr. Taylor and other historic documents in the Dvořák Room, organized by Majda Kallab Whitaker. ArtsAhimsa Ensemble musicians Laura Goldberg and Moshe Knoll performed Dvořák’s popular Humoresque No. 7, composed during Dvořák’s American residency. See this event on DAHA’s YouTube Channel! On March 29th, DAHA hosted an afternoon of instrumental and vocal Czech chamber music. The event featured seasoned musicians and young students, evoking a tradition of late 19th century musical life, from the period when Antonín Dvořák headed the National Conservatory of Music of America in New York City. The mostly Dvořák program included The Dumky Trio; V Národním Tonu (In Folk Tone); Slavonic Dances; Piano Trio in B flat; String Quintet in E flat Major; and “The Man I Love” by Dvořák’s “grand-student” George Gershwin. On February 27th, 2015, the Aaron Copland School of Music Orchestra, under the direction of Maurice Peress, performed works by Antonín Dvořák and George Gershwin, exploring the Czech composer and his American legacy. The program combined Dvořák’s Carnival Overture and his American masterwork, the Symphony No. 9 in E minor, “From the New World,” with his “grand-student” George Gershwin’s American in Paris. Maestro Peress is both a conductor and scholar -- his book Dvořák to Duke Ellington (Oxford University Press, 2004) is still in print--and he brings American insights into his “New World” performance. On Sunday, December 14th, the Czech Holiday Party attracted over 200 families and friends to the historic ballroom of the Bohemian National Hall for an exciting program including a music performance, holiday market, light refreshments, and film screening. The music performance, hosted by Czech mezzo-soprano Pavlina Horáková, was enlivened with slide projections and descriptions of Christmas traditions in the Czech Republic and United States, and a special appearance by the Children’s Choir of the Czech & Slovak Cultural Center in Astoria. View photos of the event here! Czech composer Antonín Dvořák continued to be celebrated in 2014 with the New York Philharmonic’s unprecedented Dvořák Festival, from December 4th – December 13th. Click here for details of the past program. DAHA's Michael Beckerman was featured in a December 4th New York Times article! He participated in the program “Insights Immersion: The Many Worlds of Antonín Dvořák” offered as part of the New York Philharmonic’s Dvořák Festival on Sunday, December 7th at the 92nd Street Y in New York City. See DAHA in the News for more details! The original manuscript of the "New World" Symphony returned for the first time to New York City, where it was composed by Antonín Dvořák in 1893. On loan from the Czech National Museum, the manuscript was reunited with original orchestral parts from the New York Philharmonic, created for the world premiere at Carnegie Hall in 1893. The public was invited to view the exhibit in the Czech Center Gallery at the Bohemian National Hall from Monday, November 17th -Friday, November 21st daily from 1pm - 9pm. The Dvorak American Heritage Association offered three related lecture programs and the Dvořák Room was open during exhibition hours. Dvořák to Duke Ellington. On Tuesday, November 18th at 6 PM Maestro Maurice Peress traced the influence of Dvořák and the "New World" Symphony through his American students and "grand-students," including Ellington, Gershwin and Copland. This event can now be viewed on our YouTube channel! Dvořák’s New York. On Wednesday, November 19th at 6 PM New York Philharmonic archivist and historian Barbara Haws and cultural historian Majda Kallab Whitaker presented highlights of Dvořák’s New York residency, including the premiere of the "New World" Symphony in 1893. In addition, the ArtsAhimsa String Quartet performed the final movement from Dvořák’s "American" String Quartet. The "New World" Symphony: From Happy Birthday to the Song of the Robin. On Thursday, November 20th at 6 PM Dvořák scholar Michael Beckerman explored the musical “back stories” of the "New World" Symphony. On October 26th, DAHA presented a program of lectures and performances around the theme of musical melodrama (the combination of speech and music) and Dvořák’s near obsession with Longfellow’s Hiawatha. The event featured Dvořák scholar Michael Beckerman as moderator and actor; cultural historian Joseph Horowitz; David Samuels, a scholar of Native American music and colonial contact; flutist Kaori Fujii; and pianist Jason Wirth. Dvořák's Cello Concerto manuscript photo courtesy of Robert A Williamson, Jr. Image of Dvořák courtesy of DAHA from The Century Magazine, September 1892. On April 5, 2014, the Dvořák American Heritage Association and the Violoncello Society, Inc. joined in presenting an original manuscript, the recently discovered solo cello part of Antonín Dvořák’s American masterwork, the “Cello Concerto in B minor,” with an exhibition, interactive performance, and panel discussion by Dvořák experts. This event offered a window into the world of Dvořák’s creative process and collaboration with his German-American colleague, cellist Alwin Schroeder, in whose personal archive the manuscript was found. 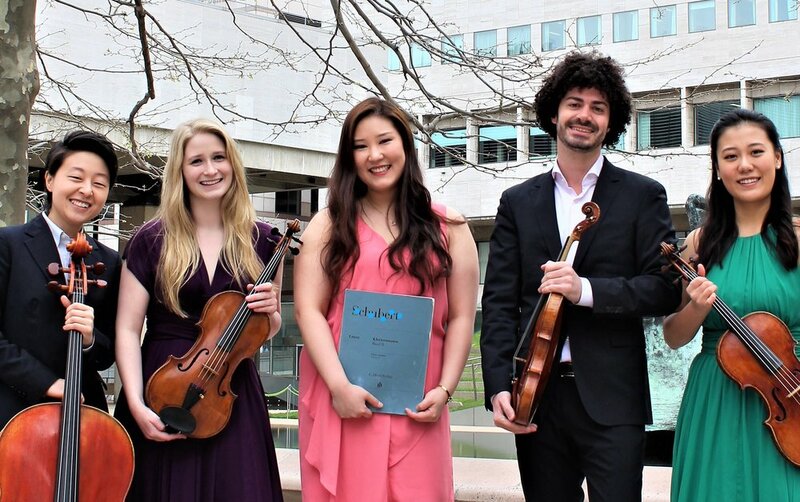 Students from The Juilliard School (James Kim), The Manhattan School of Music (Patrick Hopkins), and Mannes College (Yoon Jin Park) were invited to play the three movements of the concerto. The expert panelists, who were led by Co-Chairs Professor Michael Beckerman of New York University (Vice-President of DAHA) and Professor Jeffrey Solow of Temple University (President of the Violoncello Society), included Conductor and Professor Maurice Peress, Cellist Christine Walevska, and Cellist Robert A. Williams, Jr., the manuscript owner. Historical recordings were presented via audio clips courtesy of Cellist Terry King, and Dvořák’s song "Leave Me Alone," at the heart of the cello piece, was sung by Amelia Lubrano, a graduate of the Aaron Copland School of Music, accompanied by Jeremy Chan on piano. Pianist Doris Stevenson accompanied the three cellists in their performances of the Cello Concerto. The Dvořák Cello Concerto manuscript will remain on exhibit (in facsimile) in the Dvořák Room through March 2015, and may be viewed during regularly scheduled events or by appointment. Contact; info@dvoraknyc.org. "New World Diplomacy: The Contract That Brought Antonín Dvořák To America." The contract that brought Dvořák to America, on recent exhibit in the Dvořák Room of the Dvořák American Heritage Association at the Bohemian National Hall. Photo credit: Roman Franc. On Sunday, September 8, 2013, the original historic contract that brought Dvořák to America in September 1892 was publicly presented in the Dvořák Room for the first time, on Antonín Dvořák’s 172nd birthday. The intriguing history of the negotiations between Dvořák and Jeannette Thurber, founder of the National Conservatory of Music of America in New York City, was discussed by exhibition curator Majda Kallab Whitaker, followed by a performance of Dvořák’s chamber works and a birthday reception. On Sunday, October 27, 2013, DAHA sponsored a walking tour of the Stuyvesant Square district where Dvořák lived and worked from 1892 to 1895. 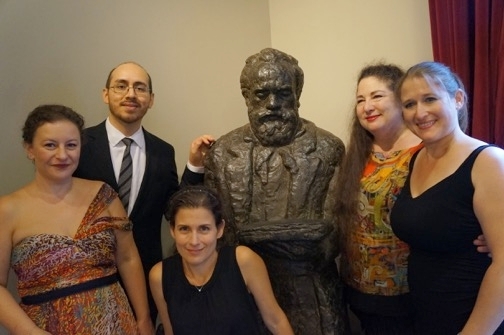 Participants visited the former sites of Dvořák House and the National Conservatory of Music of America, as well as the commemorative Dvořák Statue in Stuyvesant Square Park.